Corundum (aluminum oxide) is a fairly common mineral, second in hardness only to diamond, and therefore widely used as an abrasive. Pure aluminum oxide is colorless, but chemical purity is rare in geological environments. Even tiny traces of metals such as iron, chromium, manganese and titanium can impart a strong hue to an otherwise colorless mineral. These colors may be very attractive, but corundum per se has little commercial value unless the material is transparent, and therefore usable to fashion gemstones. Red corundum (colored by chromium) is called RUBY. 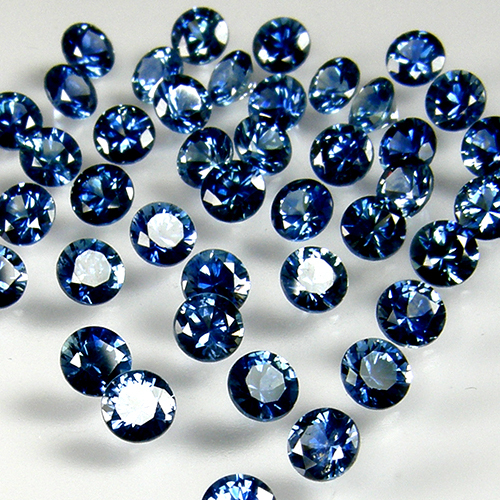 All other gem varieties of corundum are termed SAPPHIRE. For geological reasons, ruby and sapphire typically do not occur together in the same deposit. Montana has long been known as a mining state, rich in natural resources: minerals under the ground, and timber above. Gold prospectors discovered sapphires in Montana nearly 150 years ago. The material was mainly used in watch bearings and as abrasives. But the beauty of the stones eventually caught the eye of jewelry firms, including Tiffany & Co. Sapphire in a wide range of colors was cut and sold for decades, both in the USA and in Europe, where they were known as "Montanas". Montana sapphires are found in four widely-separated areas in the state. Each locality produces material with unique characteristics, indicating somewhat different geological origins. The first Montana sapphires were extracted from the Missouri River (near the state capital, Helena) as early as 1865, and stones are still being found along the river in dry areas called "bars". Missouri River stones are fairly large, but the colors are seldom pure and heat-treatment does not give much improvement. Sapphire is also found in Dry Cottonwood Creek southwest of Helena, but production has been sporadic over the years and there is very little material available. Yogo Gulch, the third major sapphire locality, is located about 75 miles NE of Helena. Yogo is unique among the state&apos;s gemstone deposits because it is the only one in which sapphires are embedded in the original host rock (called a dike). Yogo stones are also unique in that they occur in a lovely "cornflower" blue color and do not require heat treatment. 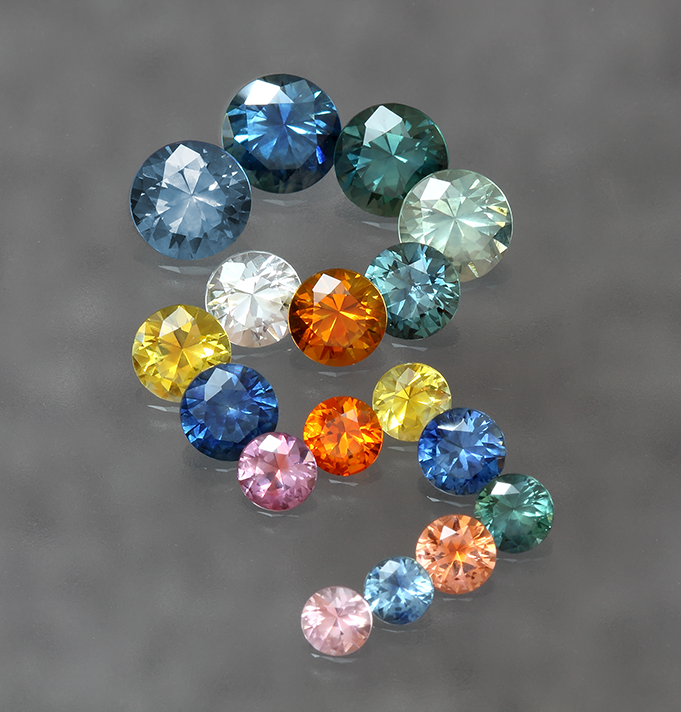 The downside of Yogo material is size - the vast majority of cut gems are smaller than 1/2 carat. The Rock Creek corundum deposit has been known and exploited for more than a century. Starting before 1900, corundum was extracted from the hills near Phillipsburg, Montana as part of an important segment of the state&apos;s mining activity. These hillside deposits were the beds of ancient tributaries, carrying small crystals of corundum downstream from their original source rocks at higher elevations, long since weathered away. The large stream running at the very bottom of these "gulches" (ravines) was called Rock Creek, and eventually all the corundum moving downhill came to a final resting place in the broad Rock Creek floodplain. The hillside stream valleys had such prosaic names as "Anaconda Gulch" and "Sapphire Gulch" and were found to be rich enough to be workable as commercial sources of corundum. It also soon became clear that the corundum occurred in many different colors, as well as a (more typical) nondescript gray-green. The U.S. Geological Survey, in a Bulletin on Montana corundum deposits published in 1952, noted that the Rock Creek area produces corundum with the widest range of natural colors of any such deposit on earth. However, these lovely colored stones account for less than 5% of the total production. Despite their potential use as gemstones, there were simply not enough of them to justify a gemstone mining operation. When synthetic corundum became an inexpensive and abundant commercial product, the cost of mining could not even be justified. Corundum mining at Rock Creek eventually stopped in the early 1940s. The early miners kept accurate log books and records of corundum production. They noted weights, colors, sizes, total ounces per day and other observations, producing a total of more than 4,000 pages of logs containing detailed information on extracted corundum. The ancient river valley of Rock Creek is the repository of all the stones that, for millennia, have been moving downhill in the surrounding tributary streams. Mining these hillsides is problematic because there is no way to know exactly where to dig to find the stones that are now buried in the thick topsoil. Sapphire is in demand in ALL colors. Montana sapphires have become so widely known that they are now specifically represented on industry price guidelines; the information has been refined to the extent that even different shades of Montana blue and blue-green stones have their own distinct trade designations and price matrices. Other colors of sapphire (purple, green, orange, yellow, pink, Padparadscha, etc) also have their own individual price lists. Some worldwide localities have become famous for yielding sapphire in specific colors (e.g. Kashmire, for its magnificent blue stones), and others (such as Sri Lanka, Tanzania, Australia and Madagascar) for producing a wide range of hues. But Montana remains unique in the huge variety of colors represented, both before and after heating.